Millie Joined Team Cocco In Spring This Year, What A Hectic Few Months She's Had! After Finishing Her Graduate Stylist Program She Climbed The Ladder To Stylist, We Have Blown Away With Millie's Professionalism & Knowledge. She's Fit Right In & Her Clients Love Her, No Wonder She Was Shortlisted For Apprentice Of The Year! Millie Is Now One Of Our Balayage Team Having Returned From Training In London June 18, Check Out Our Social Media For Images Of Her Work! Chelsea Joined The Team Almost 4 Years As A Graduate Stylist, She Has Worked So Hard Since Joining The Team & Has Worked Her Way Right Up To Senior Stylist. She Is A Balayage & KeraStraight Specialist, She Trained With Jack Howard 3 Years Ago & Is Fantastic With All Things Colour! Chelsea Does A Mean Curly Blowdry & An Amazing Ombre Blend. She Has A Passion For Barbering, Loves Doing Skin Fades. She Is Very Popular So Be Sure To Book Ahead! After Traveling Around The World For 4 Years She Has Settled Back Home & Joined Team Cocco. Wallis Is Our Resident Extensionist, She Has A Great Eye For Colour Change & Joined Our Team Of Balayage Specialists After Training With Jack Howard In London. She Is A KeraStraight Specialist & Can Transform Troublesome Hair Into Silky Smooth Tresses In Just A Few Hours! Check Out Her Work On Instagram & Her Reviews On Our Facebook Page. Ramona Is Our Lead Stylist, She Heads The Team & What She Doesn't Know About Hair Isn't Worth Knowing! Ramona is bilingual and is fluent in English, Spanish & Romanian. She Is A Balayage & Colour Correction Expert, Bridal Specialist & Does The Best Hollywood Blow Dry In Derby! Annie Is Our Front Of House Saviour! She Takes Care Of All Our Gorgeous Clients & Enures Your Needs Are Always Met. There Really Isn't Much Annie Can't Do, She Keeps All Our Stylists On Time & Informed & Keeps Everything Running Smoothly. Annie Is Actually A Fully Qualified Stylist So She Can Answer All Your Questions On Our Services, Give You The Low Down On Everything & Help Out When Things Get A Little Manic! Michelle Has Been Here Since It All Began, Previously Working In The Cathedral Quarter For 10 Years She Has Almost 20 Years Experiance In The Beauty Industry. Michelle Is The Waxing Queen, She Has Magic Hands That Make The Least Painful Waxing Experience You Will Ever Have! She Specialises In Intimate Female Waxing & Nails. She Is In High Demand So Be Sure To Book Ahead! Hayley Is The Salon Owner & Creative Director. She Now Works Behind The Scenes, On All Things Business, Education, Customer Service & Keeping An Eye On New Trends & Services To Bring To The Salon. Hayley Developed The Prescriptive Salon Ethos To Teach Our Clients How To Acheive In Salon Results At Home & Empower People With Knowledge To Make Informed Choices With Their Hair & Image. She & Ramona Work Tirelessly To Ensure Our Whole Cocco Team Deliver Excellent Customer Service, Give Honest Advice & Keep Our Clients Happy! Hayley opened Cocco Salon in 2009, after working in many salons she wanted to start something new. Hayleys vision was a salon where honesty and education is key. In a over saturated market and at despite the recession, she knew that her dedication to customer service would put Cocco Salon on the map! Hayley chose brands who unite with her ethos and are mindful of the environment. 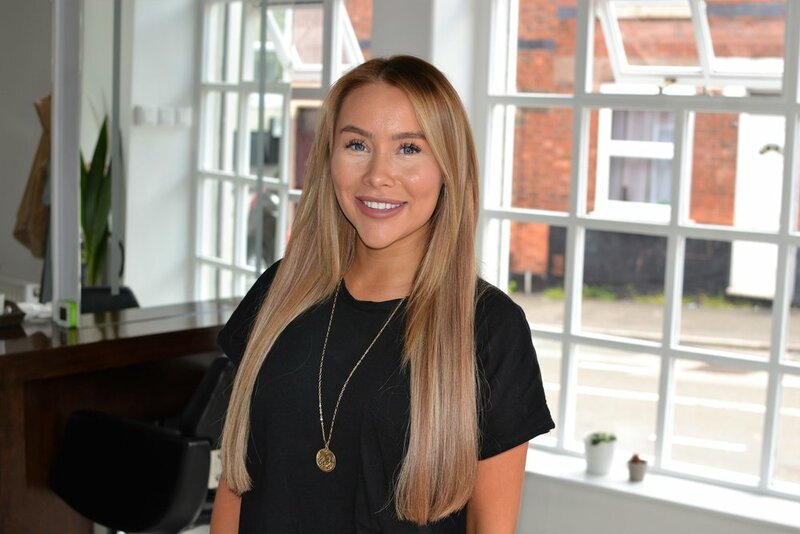 Hayley coined the term 'prescriptive salon' to describe the relation to hair health and home care, a key part of delivering excellent results in salon is by educating and involving our clients on their journey to their ideal hair. Without empowering them with the knowledge to form better habits and routines we are only able to perform half a job. While working for Globally Renowned Stylist Nicky Lazou, Hayley cemented her dedication to hair health. The decor is clean and classic with a twist, our dark coffee wood theme runs throughout keeping our space grounded and links back to nature. Our Treatment rooms are clean and earthy with a hint of Zen to help relax and unwind during your treatment. We have an extensive drinks menu with an array of naturally caffeine free teas, bean to cup coffee & soft drinks for you to hydrate yourself whilst flicking through our monthly selection of magazines . Being fully air conditioned, our salon is comfortable to visit even on the hottest day so you won't mind spending the day with us all year round. We have chosen to collaborate with like minded brands and wherever possible choose sustainable and ethical products for or services in salon and home care for our clients. We test numerous products each year to bring you, what we believe to be the best blend of science and nature that delivers outstanding results! Paul Mitchell have been with us since day one, with their 100% vegan product line and being awarded the prestigious ‘Leaping Bunny’ award from Cruelty Free International, making them the only international professional hair care brand to receive this status, we love that this brand truly delivers what it says with it's products and with its vision. The colour house of choice is ground breaking British born ASP, being more than 90% naturally derived, cruelty free and obtained from sustainable and renewable sources. ASP is blended with Shea butter and Argan oil, it offers perfect colour, flawless grey coverage, minimal fade and incredible shine. We have recently welcomed ASP's New Kitoko hair care range which is completely free from sulphates, parabens, waxes, mineral oils and silicones. To further our eco credentials we have installed Eco Heads at the wash house cutting the water usage by up to 56% and recycle as much as possible.